Not applicable or intended for street or highway use. Legal only for racing vehicles which may never be used upon a highway. Hedman Elite Headers are the best you can buy. They have thicker flanges, stronger tubing, and thermal coating to withstand full-throttle thrashing and torturous towing. Their extreme-duty construction protects against burnout and exhaust leaks caused by the excessive heat and vibration of high-performance applications. Elite Headers outlast and outperform ordinary headers. All Hedman street headers are made in the USA with a 5-year coating warranty and lifetime product defect warranty. Note: Installing coated headers on an engine during the break-in period will cause discoloration. 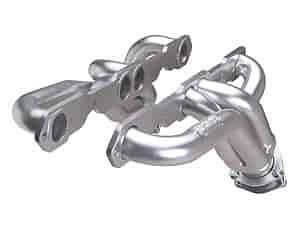 It is recommended that the factory manifolds or an old set of headers are used while breaking in an engine. Does Hedman 69648 fit your vehicle?